Learn how to complete the week 6 challenges and visit the 5 highest elevations on the island in Fortnite. If you’re looking to complete all of the week 6 challenges in Fortnite Season 8, then you’ve got your work cut out for you. 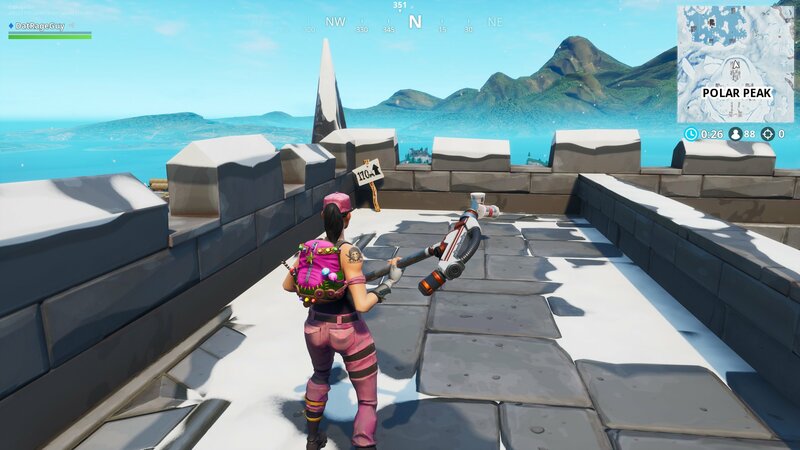 On top of the other challenges, players will also need to visit the 5 highest elevations on the island in Fortnite. We’ve outlined everything you need to know in the guide below, so let’s start climbing. 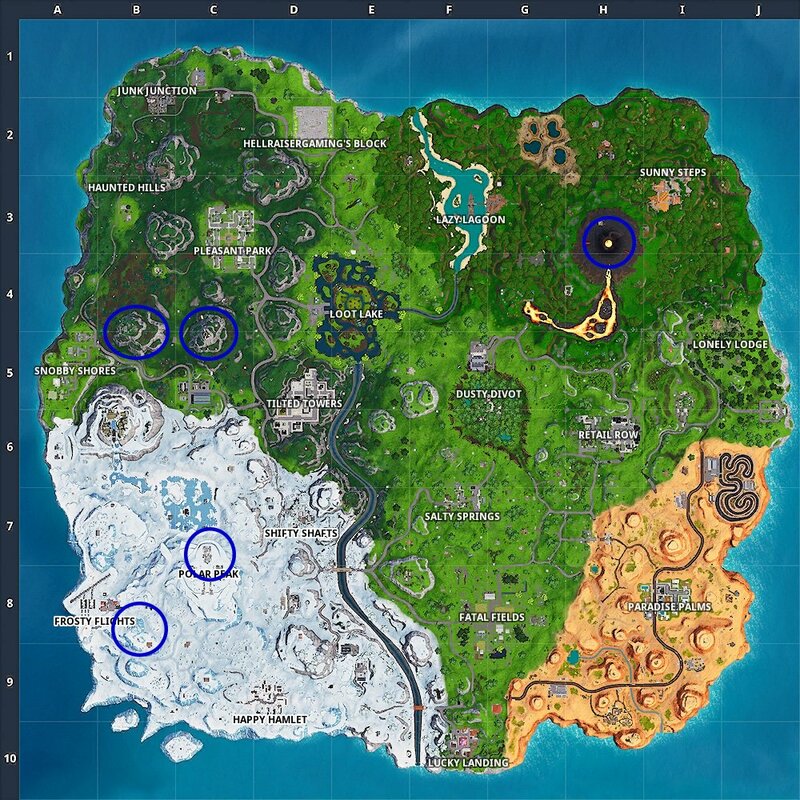 Here are all the locaitons for the five highest points of elevation on the island in Fortnite Season 8. The first point on the map that you’ll need to visit for this challenge is the top of the Volcano. Added in Season 8, this is the absolute tallest point on the island, and getting there should be easy. There’s also a lot of places to loot nearby, which should make it easy to get right back into the game while you’re completing this challenge. 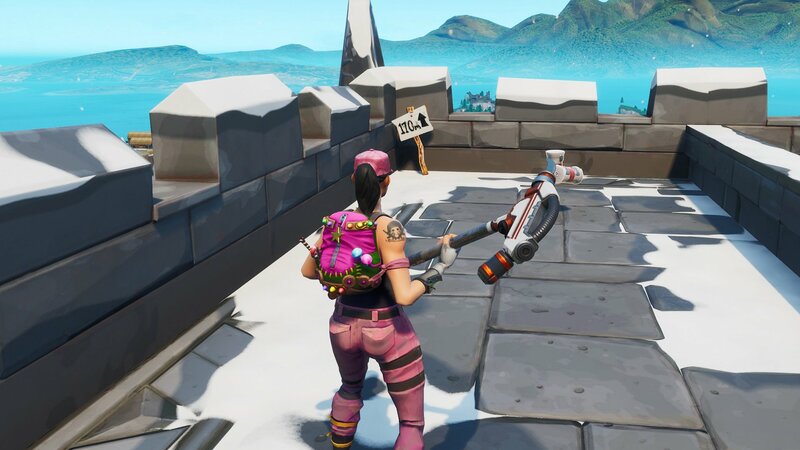 The second highest location you can visit in Polar Peak. You’ll need to climb atop the castle here, but you should see the sign that reads 170m with an up-pointing arrow beside it. Wait for the challenge notification not pop before you jump down. Polar Peak is the third highest elevation point on the island. Just east of Frosty Flights, players can come across a submarine, frozen and sticking out of the mountains. You’ll want to climb atop this monstrosity to claim the third highest point of elevation on the island. Finally, the last two places you will want to visit on your journey to visit the 5 highest elevations on the island are Stunt Mountain, and its twin mountain. These two locations are almost smack dab between Titled Towers and Snobby Shores, and you’ll find them marked on the map above. They both rest at the same elevation and shouldn’t be too hard to grab and add to your list of accomplishments. While you're at it, make sure you also visit a wooden rabbit, a stone pig, and a metal llama. Now that you’ve completed the challenge to visit the 5 highest elevations on the island, be sure to head back over to our Fortnite guides for more help completing all the week 6 challenges in Fortnite Season 8.